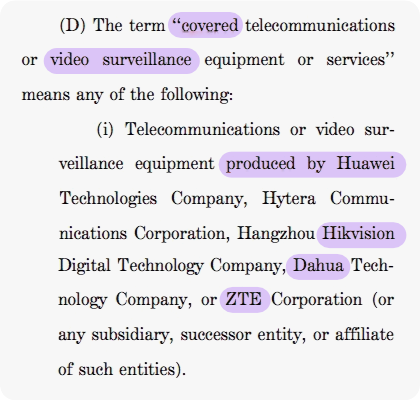 The final released US House Bill HR 5515 verifies that it not only prohibits the purchasing of Dahua and Hikvision products, it requires removing existing Dahua and Hikvision government systems. A number of Hikvision orders have been canceled and installs removed as well. Fort Leonard Wood in Missouri removed 5 Hikvision cameras this January after the WSJ ran an in-depth feature on Hikvision’s China government ties and cybersecurity issues. (Army Rips Out Chinese-Made Surveillance Cameras Overlooking U.S. Base). Dahua and Hikvision OEM to scores of Western companies (see Dahua OEM Directory and Hikvision OEM Directory) looking for cheap products, including big names like American Dynamics (Tyco / JCI), (former) FLIR, Honeywell, UTC / Interlogix, ADI / W-Box, etc. 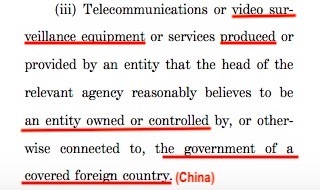 While IPVM has not investigated Dahua and Hikvision OEM use by the US government, simply given some of the big names involved, there is certainly, minimally 1,000s of these products deployed in US government facilities, especially since knowledge of Dahua and Hikvision's risks and OEMing have only become widespread in the past few years. 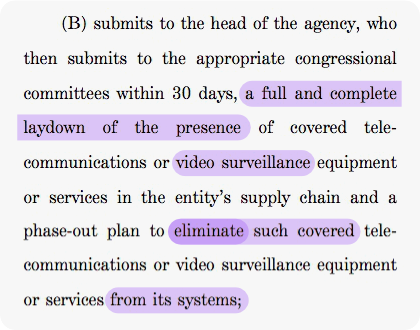 This could be a benefit overall to the video surveillance industry, as lower-end and vulnerable Dahua and Hikvision equipment are replaced by newer, better, more secure non-Chinese products. Comments (55) : PRO Members only. Login. or Join.